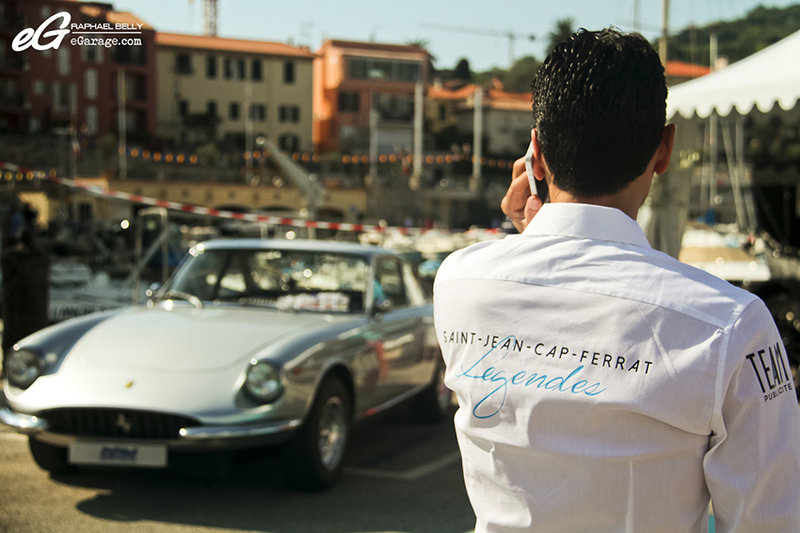 A great surprise at this summer’s end came from the birth of a new event in the Côte d’Azur, a Concours d’Élégance baptized Saint Jean Cap Ferrat Legendes. Cap Ferrat is one of those typical French Riviera cape towns such as Cap Martin (near Monaco) or Cap d’Antibes (next to Antibes). Located between Monaco and Nice, the Cap Ferrat is a little heaven on earth where the biggest yachts of the world and ten milion euros houses are part of the common landscape. 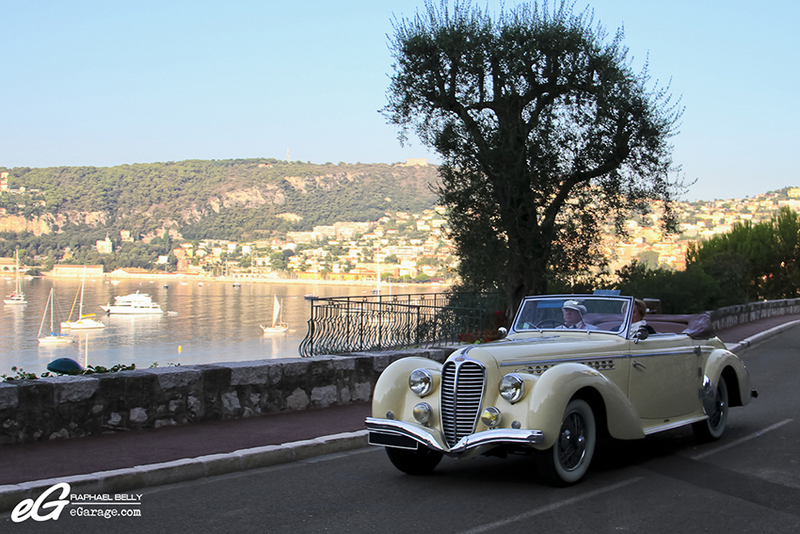 Saint Jean Cap Ferrat Legendes is not just another Concours d’Elegance, as said by Marc Gallon (CEO of Team Publicité Monaco, the organizer), “This event consists in two parts : the first one is dedicated to a concours d’elegance which gathers around thirty old and exceptional vehicles. A jury made up of specialists highly renowned in the automotive world awards the “Grand Prix of Excellence” to the most beautiful of these vehicles. The competition ends by a parade in the streets of the peninsula. 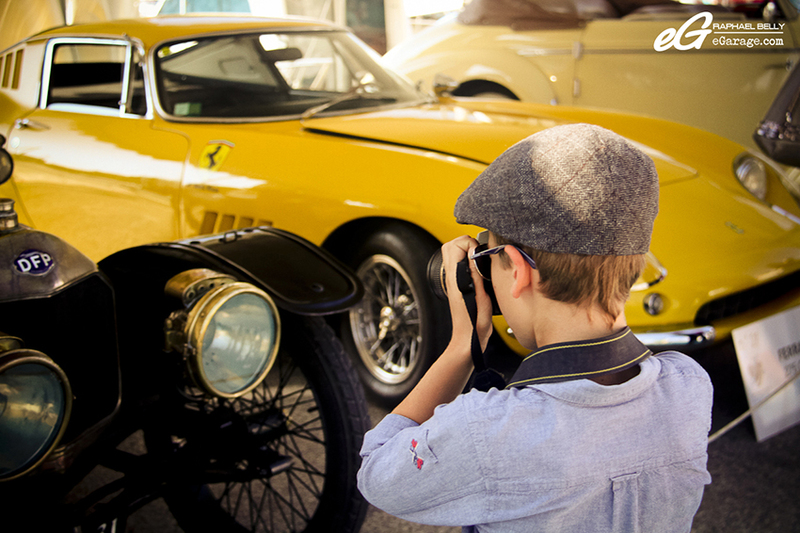 The second part of the program is dedicated to the first exhibition of classic cars. More than 100 outstanding vehicles are gathered. From amateur enthusiasts to the most passionate specialists, both will find themselves in a dreamlike universe. It’s very interesting to hear that both the organizer Marc Gallon, and the Mayor, Jean-François Dieterich, share the same position as eGarage, that is to say that cars can link people together. 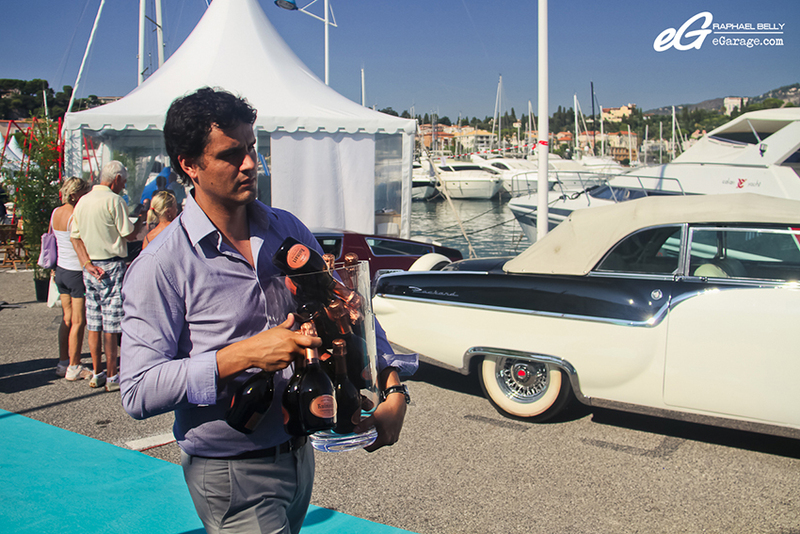 “Saint-Jean-Cap-Ferrat, it is the most beautiful place for the most beautiful of the events. Mesmerizing, exceptional, grand, the morphology of our Peninsula, its history, its beauty, its magic, allow the biggest collectors of Europe to gather with a flattering enthusiasm. 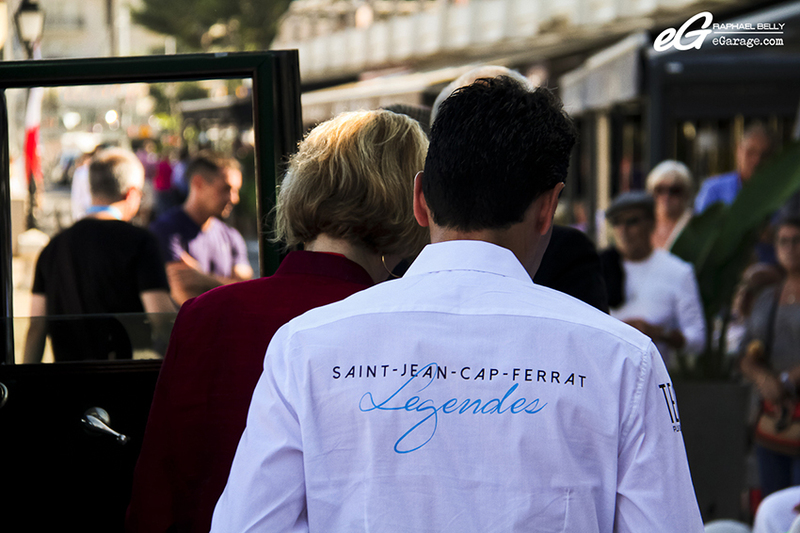 The cars and the people are inseparable and Saint Jean offers an open-air window of the most perfect mechanical jewels presented to you there. 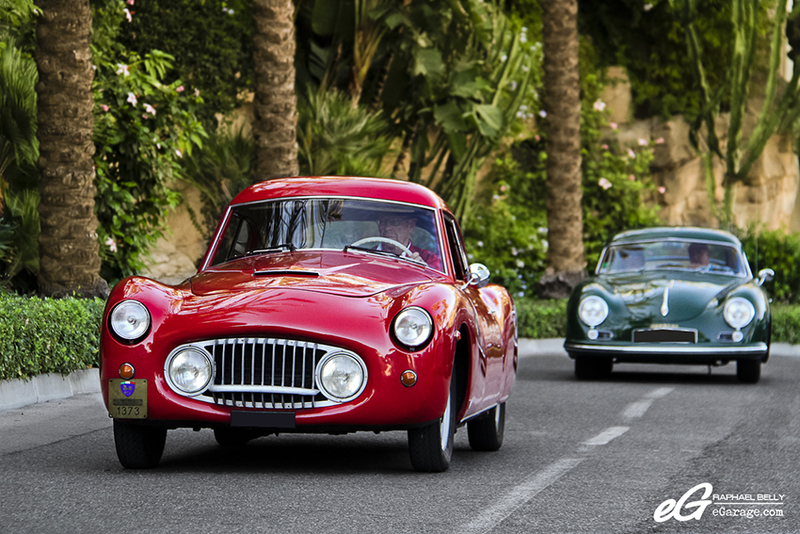 Faboulous cars, of a rare beauty and steeped in history, participate with their owners in a traditional concours of elegance under the eye of a prestigious jury. This event is the first one of a series with the goal that Saint Jean again becomes an international cultural Mecca. You are all welcomed”. The event was starting at 10:30am but the first cars (the ones which were on the car list) arrived at 8:30 in order to be put in position and welcomed by the staff. 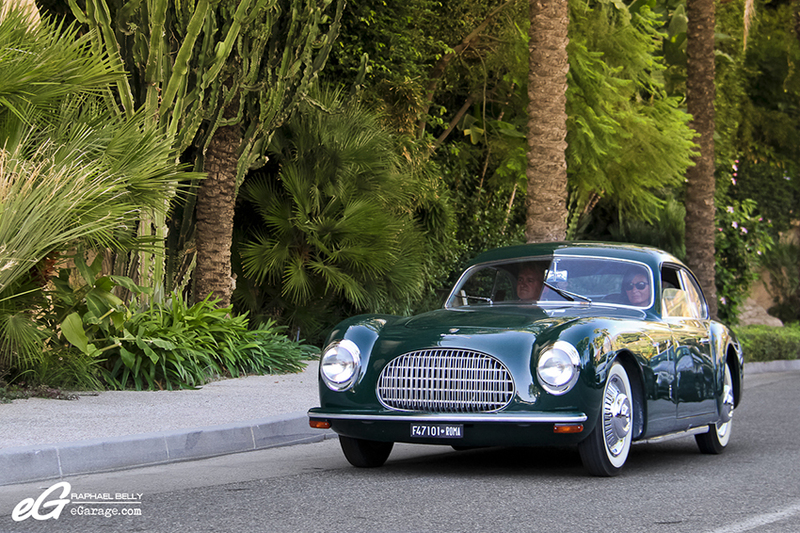 Unlike the cars of the Concours that are known in advance, the biggest unknown thing was the cars from the exhibition : What kind, what colors, from where are they coming? The car enthusiast inside me is always wondering. The spot where I settled waiting for the car was quite nice even if the light wasn’t perfect (the sun had not come up yet). What was both exciting and problematic was that my location was on a road in the middle of houses so I couldn’t see the cars coming. I had to shoot the car immediately. 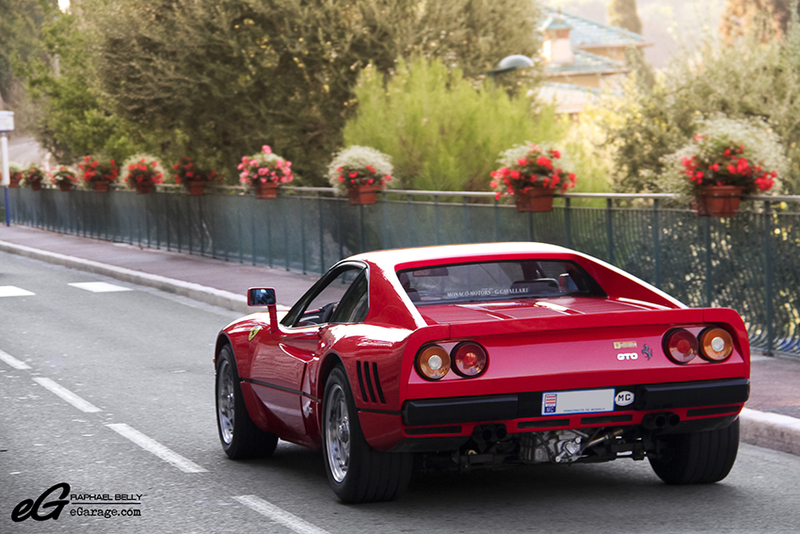 But I was awarded for waking up early when I saw a Verde Ithaca Lamborghini Miura P400 appearing suddenly, as well as a red Ferrari F50, and later a Ferrari 288 GTO. The day started well. 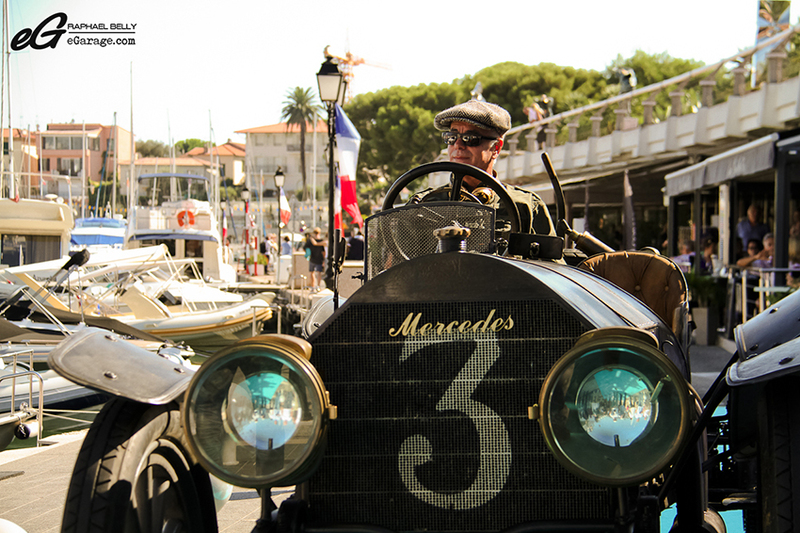 At the end of the morning it was time to move to the Port, located in the center of Saint Jean Cap Ferrat, to reach the exhibition and to immerse myself in the atmosphere : the owners are finding each other again, speaking about their cars while their wives are slipping away to take a coffee. The staff of the event are swarming under a hard sun. As the entrance is free, we find a variety of visitors from children with their compact camera to the retired photo fan with his big camera and lenses, crossed by the teenagers with their phones. It’s 12:00, my stomach is hungry, let’s eat a pizza to get some energy for the parade starting at 2 PM. 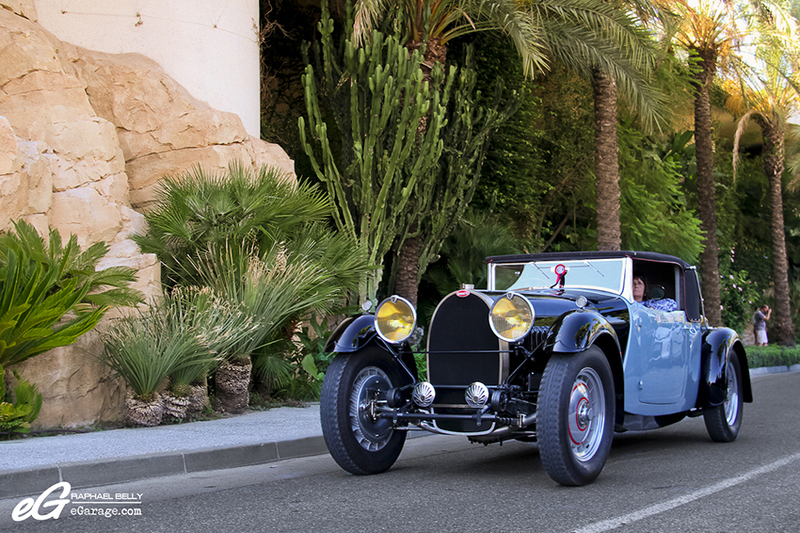 The Concours d’Elegance is open to cars from 1900 to 1980 and are split in 4 chronological categories : 1900-1920, 1921-1940, 1945-1970, and Sport. 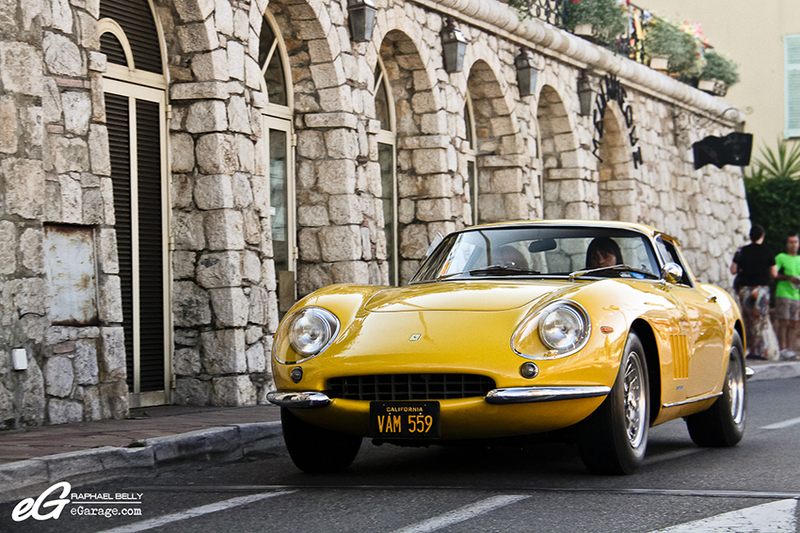 The registration to the Concours d’Elegance is submitted to the organizer for staff acceptance before the event. Each entrant must fill a form with the make, model, year of manufacture, registration number, chassis number, history and special features. Then, on decision day, a technical commission and the jury check the cars : from the driving license control to the condition of the tires, the brake fluid level etc. 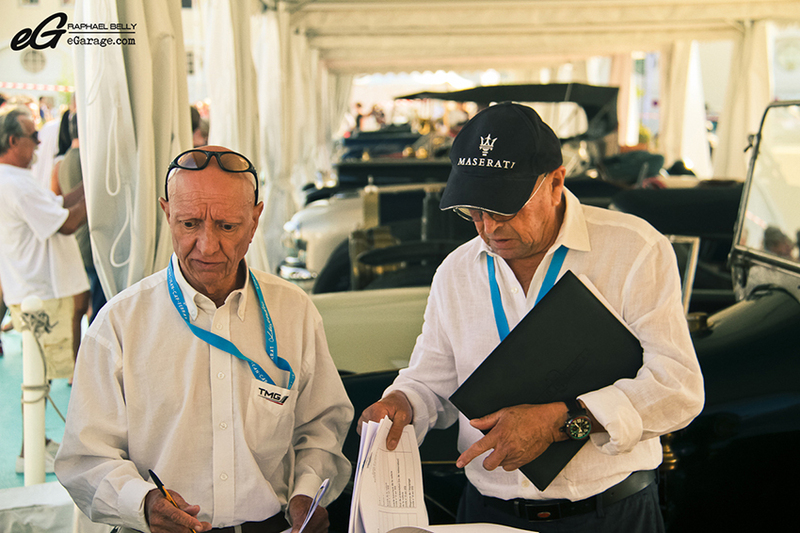 The technical commission is made of three technical commissioners : Pierre Asso (car collector), Alexandre Faucher (car concierge service manager), Régis Deweer (F.F.V.E property manager, Fédération Française des Véhicules d’Epoque). Another key team is the jury, composed of eight people from the automotive world : Jacques Braneyre (F.F.V.E technical commissioners, Fédération Française des Véhicules d’Epoque, international FIVA judge, Fédération Internationale des Véhicules Anciens, car rally organizer), Claude Delagneau (F.F.V.E property manager, Fédération Française des Véhicules d’Epoque, Hotchkiss club chairman from 1983 to 2002, FIVA vice chairman from 1996 to 2008, Fédération Internationale des Véhicules Anciens), Henri Chemin (french driver, Ford motorsport chairman in the 1960s), Gery Mestre (car collector, 2013 Automobile Club de Monaco historical commission chairman), Yvan Remond (car collector, Paris-Dakar driver), Michel Adreani (Automobile Club de Monaco technical commission chairman, many status inside the FIA, Minardi F1 team manager), Giovanna Maragliano-Caranza (Saint Cap Ferrat city councillor), Marc Raquil (french athlete). 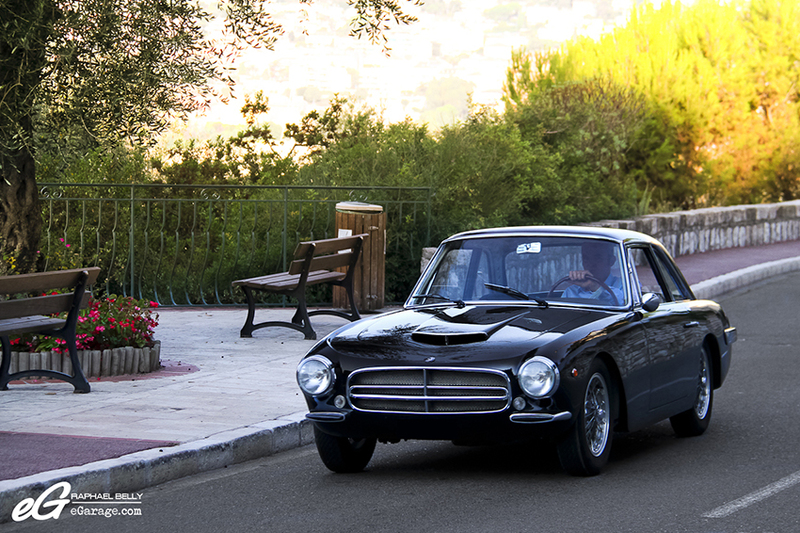 Their role is to judge and award the cars according to the rarity of the car, the historical interest of the car, its condition and the overall elegance. Each criteria will lead to a rating on 20 and the car that will get the best rating will be awarded of the Best Of Show prize. 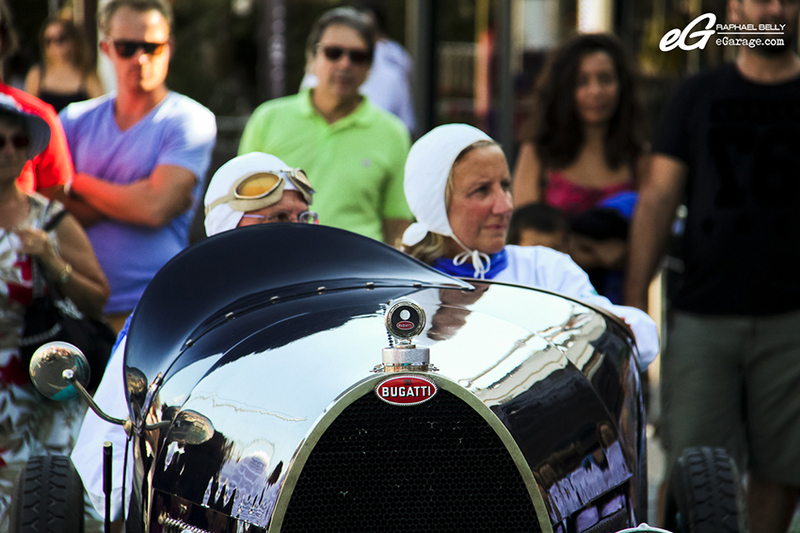 The jury, directed by Jacques Braneyre, awarded five cars in total, one in each category : the Sunbeam GP in category 1900-1920, the Bugatti Type 46 Roadster Ettore in category 1921-1940, the Alfa Romeo 6C 2500 SS SWB Pininfarina Cabriolet in category 1945-1970, and the Osca 1600 GT Touring in category Sport. 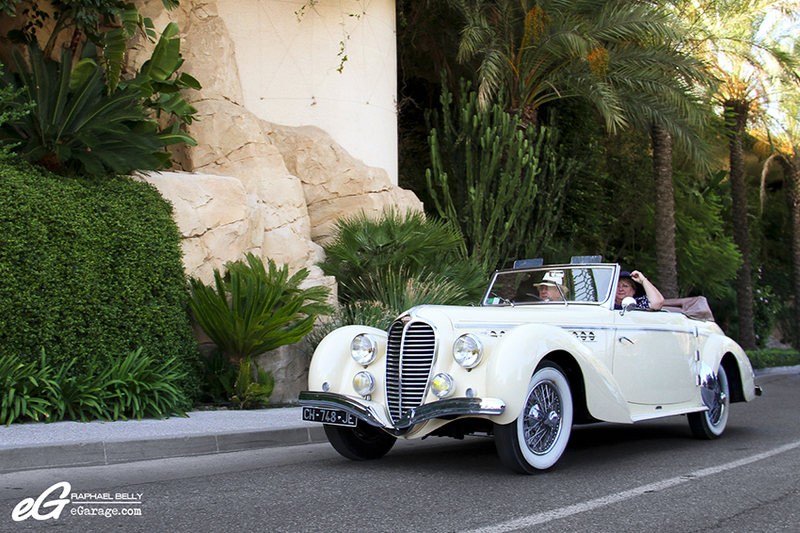 Last but not least the Best Of Show award was given to the Delahaye 135 MS Cabriolet Guilloré. 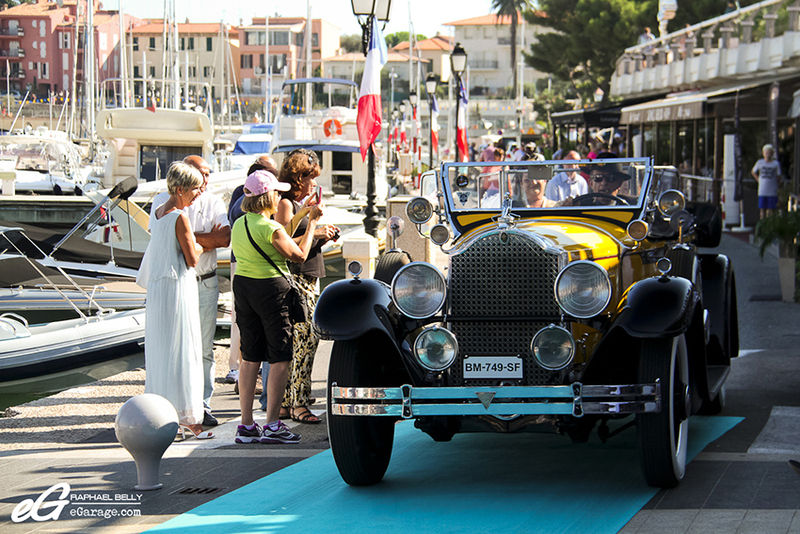 Congratulations to Team Pubicité and to Saint Jean Cap Ferrat Mayor for this event that was a great success. 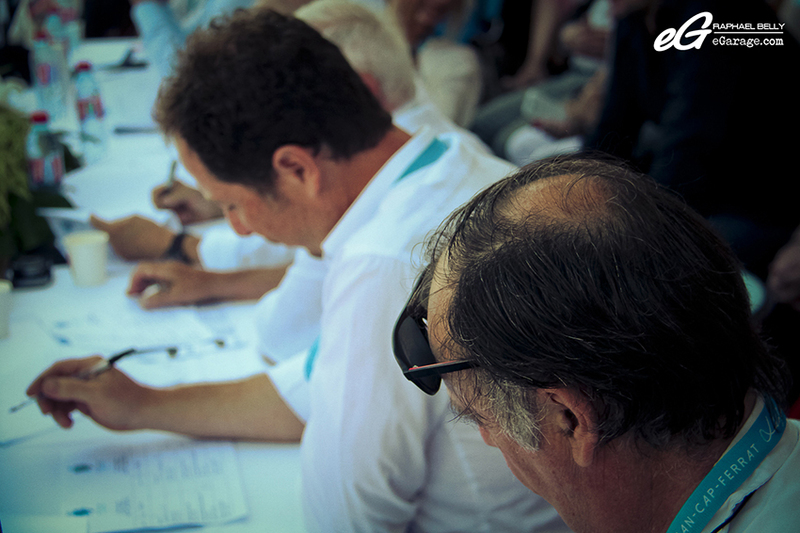 The rendezvous is already planned for the second edition in September 2015.